Named after an island with enormous sand dunes and a lighthouse built by the Portuguese over 100 years ago. Legend has it that pearls were collected for the Queen of Sheba off the coast of Bazaruto. 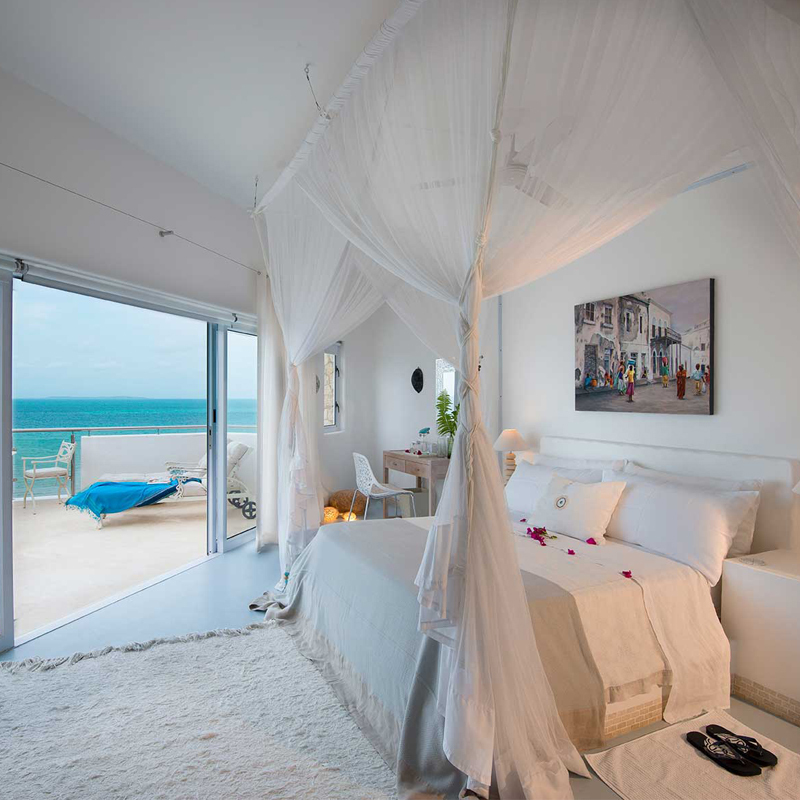 Our Bazaruto Suite is extensive. The glass sliding doors open out onto the large patio where dappled sunlight streams through the slatted wood detail above you. The collection of furniture pieces and interesting art create warmth and serenity. 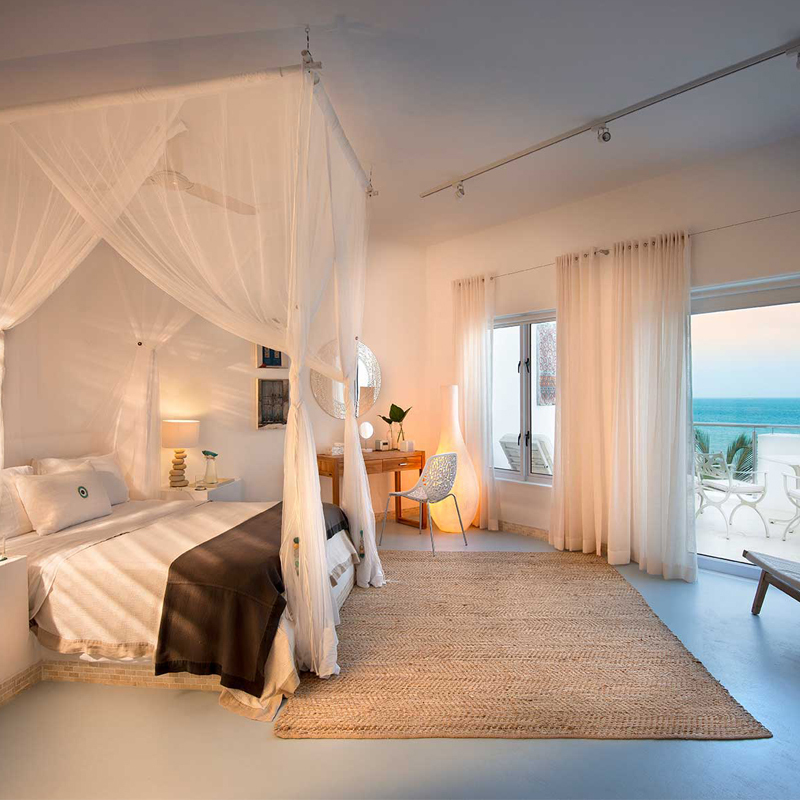 This generous suite offers a king sized bed with fitted mosquito netting. 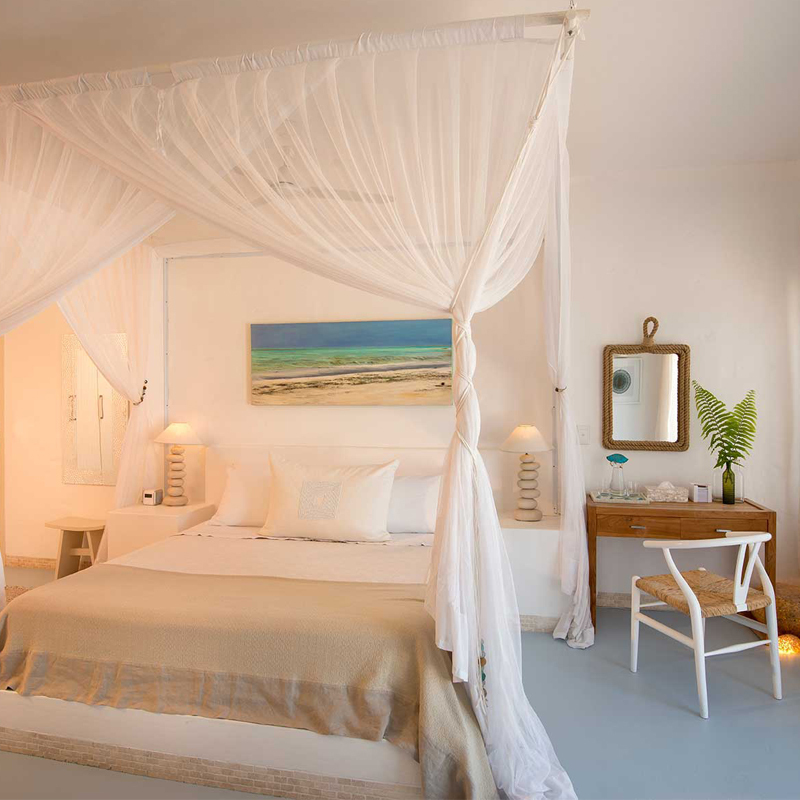 There is air conditioning and a ceiling fan for hot summer nights and in one of the built in cupboards you will find your own kikoi gown, beach sarong and locally made beach bag for use during your stay. 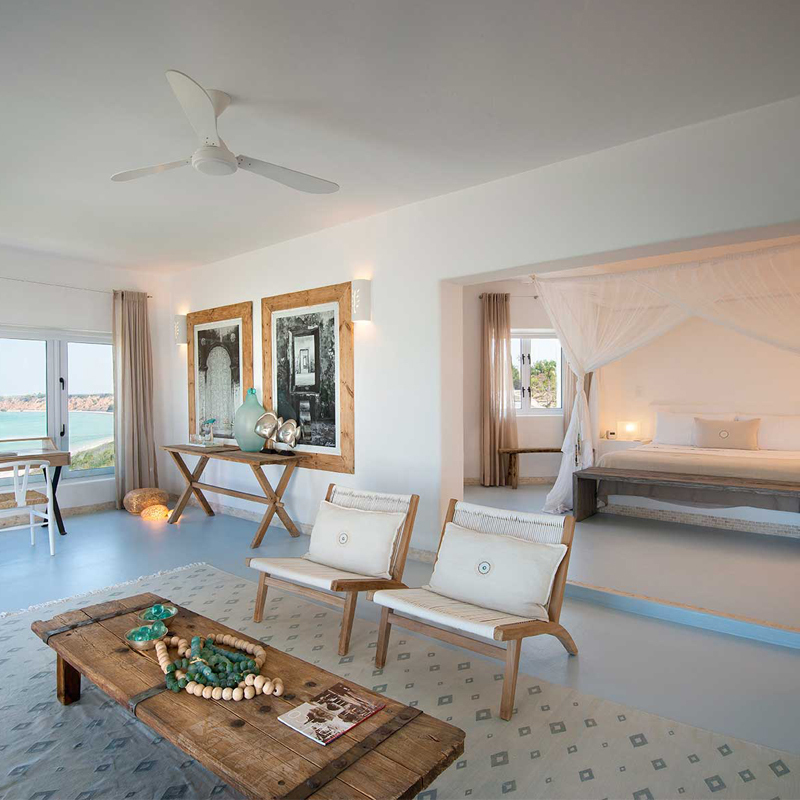 The elegant en-suite bathroom comprises a large double vanity unit, toilet and an enormous double shower. Watch the world awaken, and the ocean lap gently against the sand, while sipping on your perfect cappuccino. Thank you, thank you, thank you for the most perfect end to our honeymoon, the attention to detail and hospitality was unlike anything we have had before. 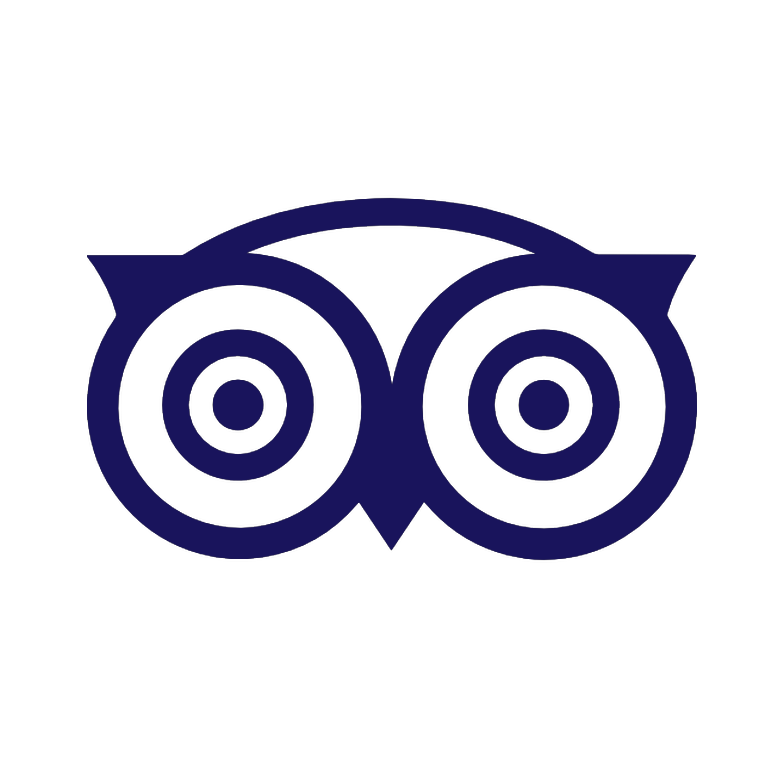 Everything about Santorini is wonderful with excellent staff, beautiful setting and delicious food. We’re so happy we picked here to end our trip of a lifetime. Everything was first class. Beautiful setting, amazing property with wonderful staff. The attention to detail and attentive staff made this a wonderful stay.